“He errs who thinks Santa enters through the chimney. Valent was born and raised in New York, where the Santa School originated. 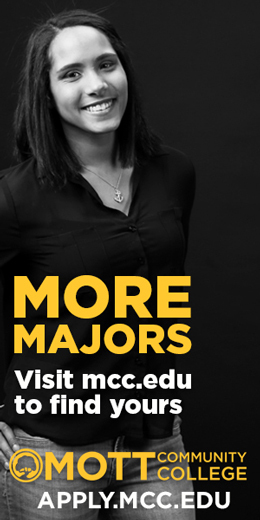 He left New York to attend Michigan Technological University in the Upper Peninsula. After graduating, he found himself in the town of Midland and took a job as an engineer with Grace Construction Company, where he continues to work to this day. “I’m still there after 40-plus years,” he says with a smile. 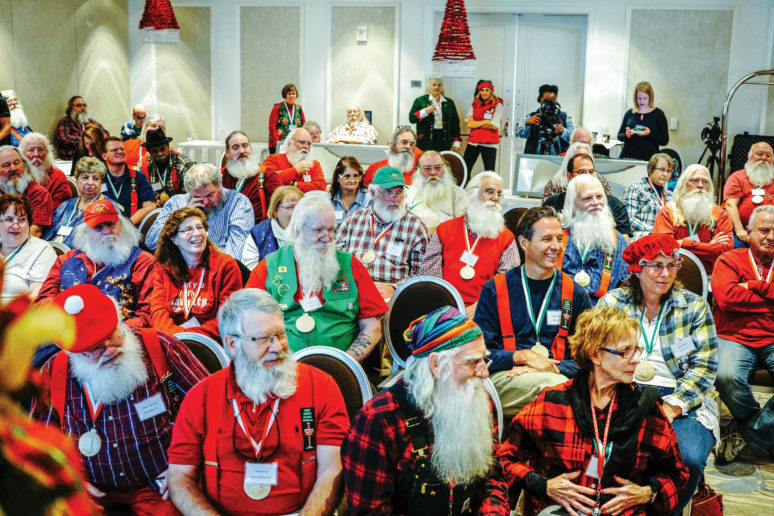 Students from around the world learning how to be santa, past and present. 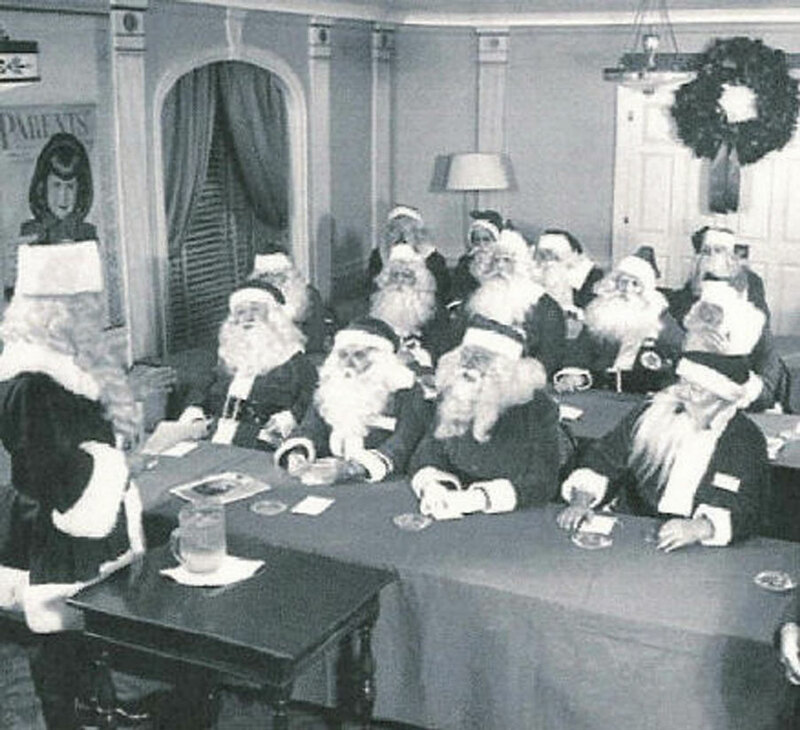 He then decided to attend Santa Claus school, which had been re-located from New York to Bay City. At the time, only two or three students attended the school. 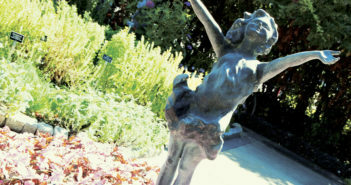 Valent had become acquainted with Charles “Charlie” Howard, the school’s first owner, and discovered that Holly had actually sat on Howard’s knee when he was Santa Claus in Albany, NY. Howard was well-known for being the Santa Claus in the Macy’s Christmas Day Parade, and was also the tech director for the original movie, Miracle on 34th Street. “He was a great Santa,” Valent remembers. After Howard passed away, Nate Doan became the second dean of the Santa school. In 1986, the Valents purchased the school and Tom became the third dean. It was at this time that they moved the school to Midland. “Holly does all of the work and I get to have all of the fun,” he says jokingly. 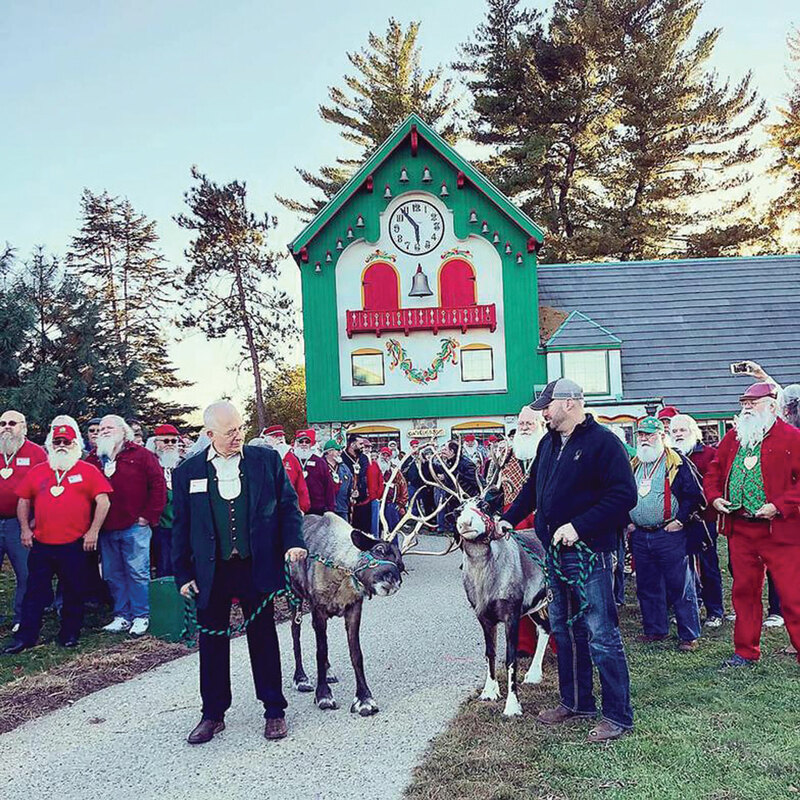 With an architect from Grace Construction, Valent researched and developed the plans for the Santa House in Midland, where the course is now taught. Thanks to the Midland Area Community Foundation and generous donors, it was built in 1987. Santa School is held at Santa House for three days in October. 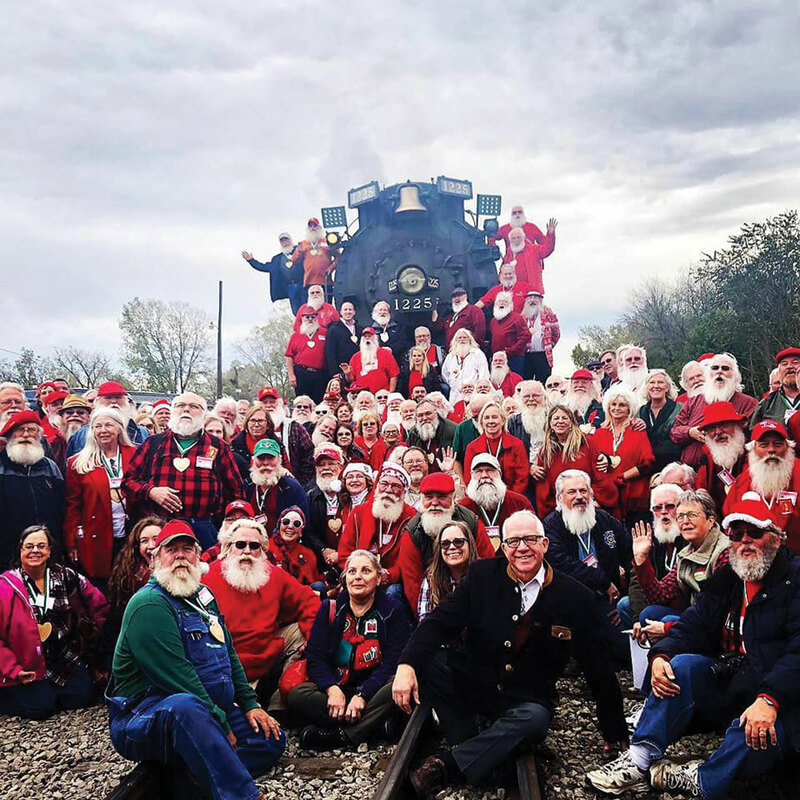 Not only is Valent one of the instructors, he is also Santa at the Santa House (along with a few others) for three months, which allows thousands of children, their families and friends to experience the fantasy and excitement of Santa Claus. His wife is Mrs. Claus. “It’s awesome!” Valent exclaims. “The Santa House is one of a kind. 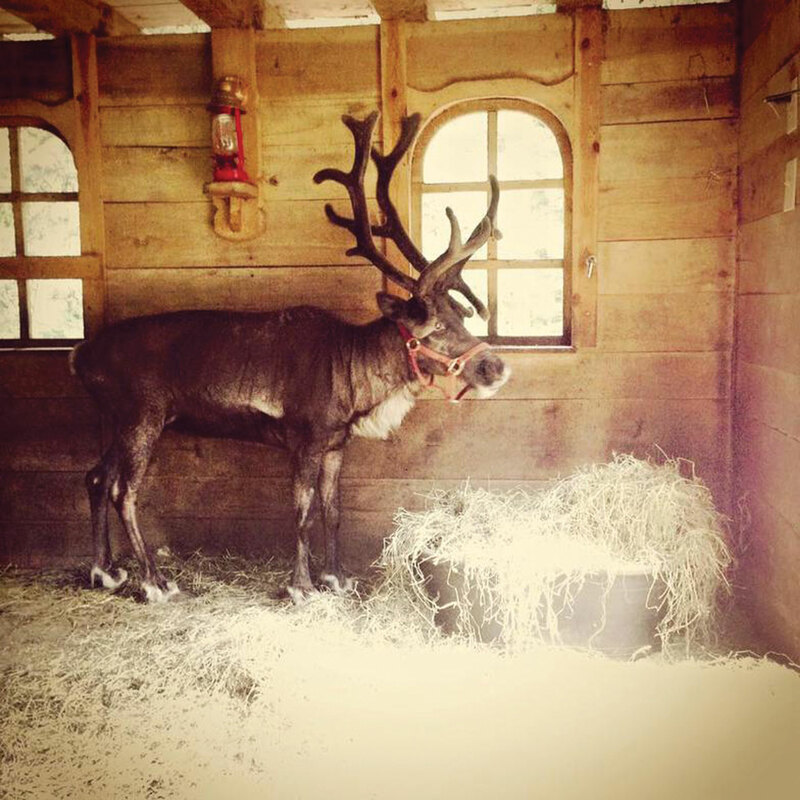 The kids come in with great big smiles.” Visitors start coming through the doors of Santa House beginning on the first Tuesday after Thanksgiving until December 23. “About 25,000 people visit Santa House every year,” says Valent, the jolly Santa. 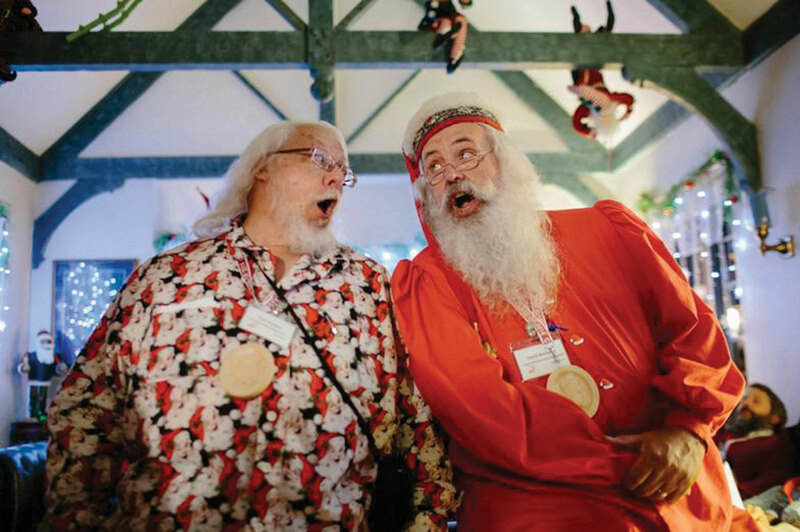 There is a reason Charles W. Howard Santa School is known as the “Harvard of Santa Claus Schools.” Teachers come from around the world to teach people how to dress as Santa, as well as sing and dance. According to Valent, students learn about the spirit of Santa, and how to stay in character. “Santa’s name stands for all good things,” says the Santa teacher. 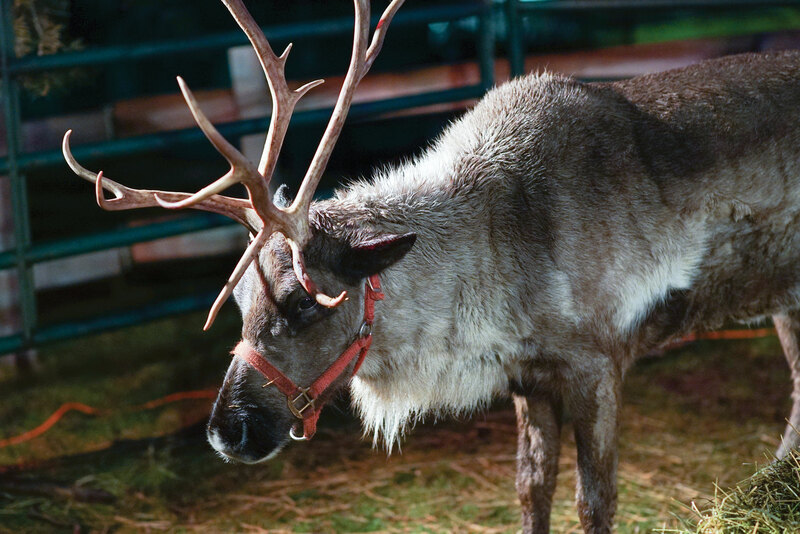 Students also learn Santa Sign Language, and how to care for live reindeer.